Turn a house into a home. If a friend or loved one is moving into a new home, there are a lot of gift ideas that will really mean a lot to them. This may include kitchen or home items, food to fill their pantry , or (of course!) items to stock their bar cart. But where do you start when there are so many things a new home needs? How can you show your friend or family member that you're excited for this new chapter in their lives? We did some scouring and found the best housewarming gifts. Ready to revamp their living situation? Who doesn't love homemade marmalade? 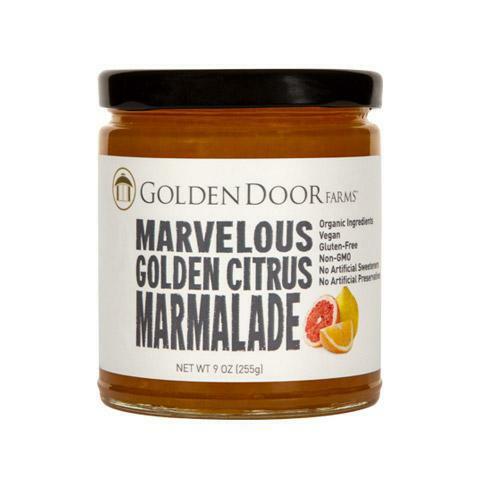 Their newest marmalade is made using Golden Door-grown organic fruit. Their jams and marmalade contain no chemical preservatives or artificial sweeteners, are non-GMO, all natural, organic, vegan, gluten-free, and soy-free. All are made in small batches. Nothing says housewarming party like popping a bottle of bubbly! Enjoy a glass of champagne and toast to new memories being made with friends, old and new. Champagne POMMERY’s Blanc de Blancs is the champagne house’s newest champagne; it's medium-bodied with citrusy notes, featuring flavors of persimmon, biscuit, golden raisin and chalky mineral. 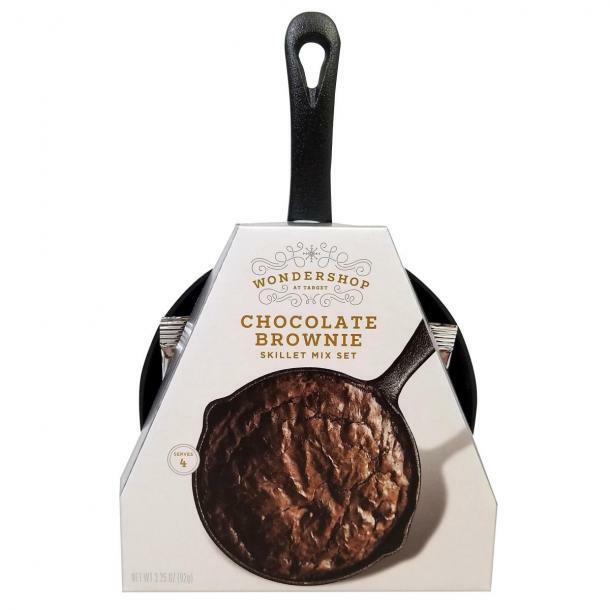 This super-cute baking mix comes with its own mini skillet, making it a great gift idea. They'll even have the skillet left for other stuff after they enjoy their homemade brownie. 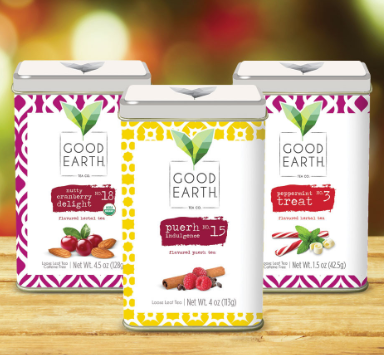 Give the gift of warm weather indulgences with these gorgeous loose leaf tea tins, a perfect thank you to your holiday hostess or treat for your co-workers. This bundle includes some of the most whimsical winter blends from Peppermint Treat, Nutty Cranberry Delight, and Puerh Indulgence. For any new homeowner, it’s important to have a fresh set of kitchen staples to help entertain and cook. The Sugarmaker’s Cut from Runamok Maple is the perfect classic item to help the new homeowner stock their pantry. 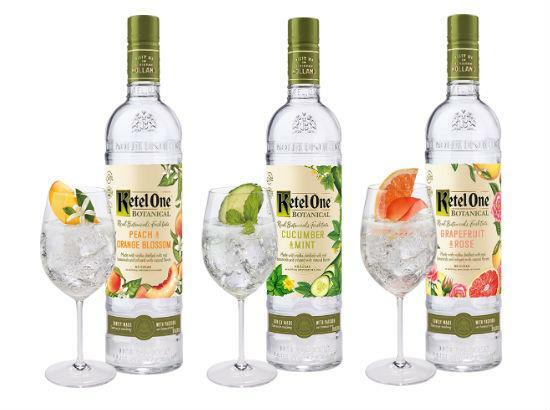 What better way to celebrate a new home then with Ketel One Botanical, a 100% non-GMO spirit infused with real botanics and packed with fewer calories. Thh three bottle collection includes Ketel One Botanical Cucumber & Mint, Ketel One Botanical Grapefruit & Rose, and Ketel One Botanical Peach & Orange Blossom. 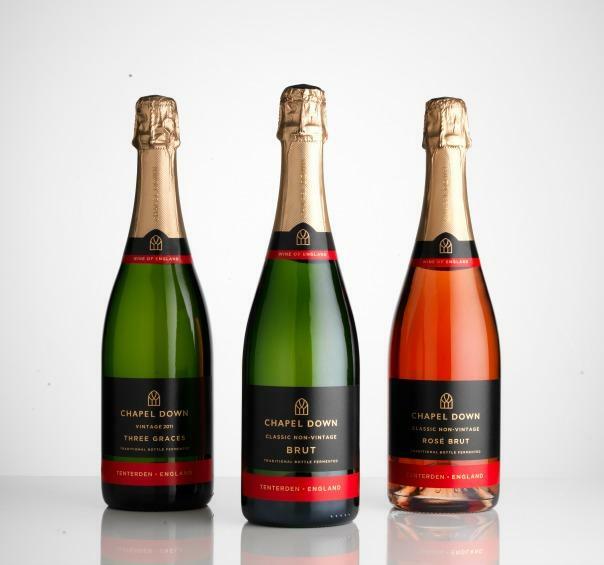 Chapel Down produces a world-class range of sparkling wines using the Traditional Method, the same as Champagne, from fruit sources from the South-East of England. Chapel Down’s Three Graces 2011 has won 95 Wine Enthusiast points and is also listed in their Top 100 Wines. Their sparkling wines were served at the wedding of the Duke and Duchess of Cambridge (William and Kate)! Not only are Therapedic weighted blankets functional, they are super cozy, keep you warm on cold winter nights, and make great gifts. Weighted blankets are available in a variety of sizes or “weights” to get you the perfect fit and most relaxing embrace. The new Bloom Hybrid by Brooklyn Bedding uniquely pairs sustainably sourced materials with the targeted pressure point relief of individually encased coils. Delivered in a box, it allows for easy transportation from your door to your bedroom. 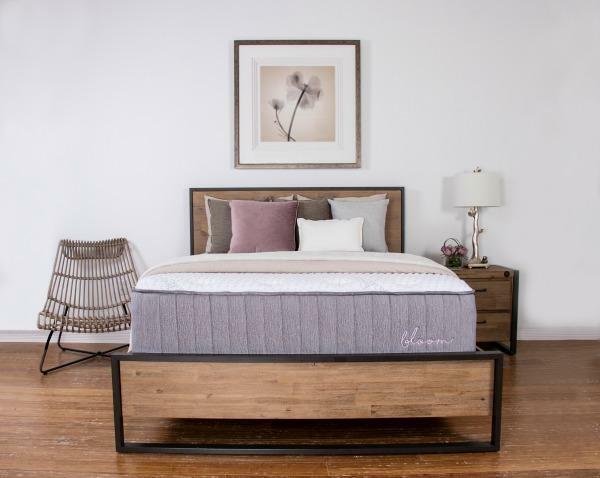 With three levels of firmness, it lets you decide the level of support you need, and Brooklyn Bedding offers a 120-night risk free trial. 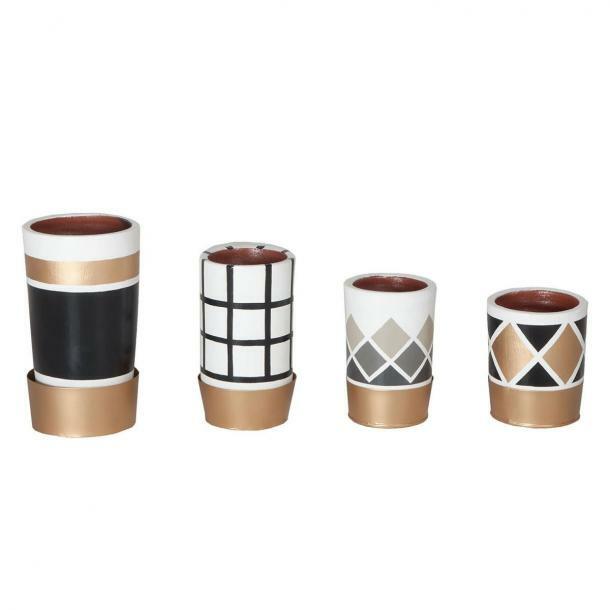 Vibrant, cheerful, and utterly unique, the Nova Argyll Patterned Pots mingle the design whimsy of Matryoshka nesting dolls with the energy, variety and geometric appeal of traditional Argyll patterning. 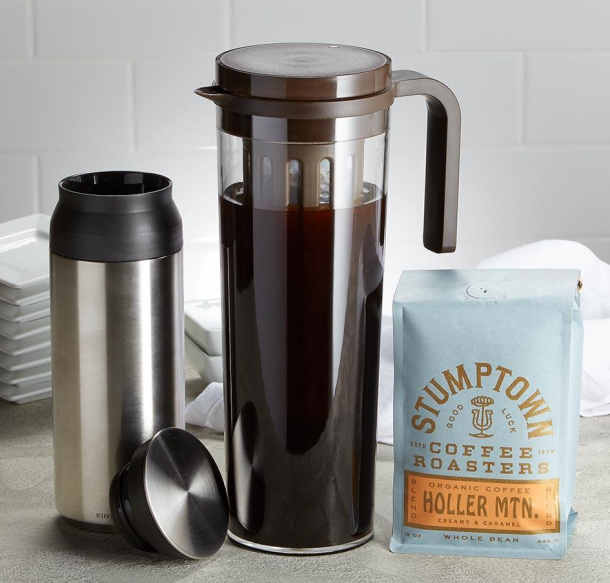 Stumptown's medium roast Holler Mountain coffee is the perfect brew choice with notes of chocolate. Simply add ground coffee to the Kinto pitcher filter, add water and let it extract in the refrigerator overnight. The next morning, add ice to the stainless steel travel tumbler and pour in the coffee. The vacuum insulated, double walled tumbler keeps drink chilled for hours. It’s a 2-for-1 gift: the financial donation helps World Vision address urgent needs of children, and you also get a beautiful gift to give to a friend or loved one to decorate their home. 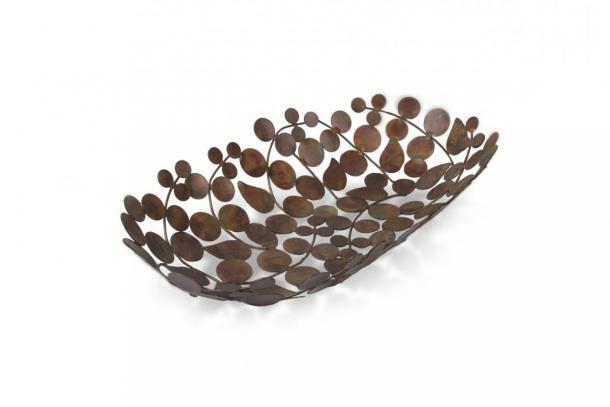 As a memento of this gift, you’ll receive this stunning bowl up-cycled from reclaimed industrial waste such as wires and metal that make a meaningful housewarming gift that impacts those in need around the world. Your gift to help where most needed will address specific, urgent needs that might otherwise go unmet for a child, family, or community. As a memento of this gift, you’ll receive these Capiz shell coasters made by Filipino artisans who are overcoming poverty through their work. Purchasing this item helps those in need, whether it's for a family, child, or community. 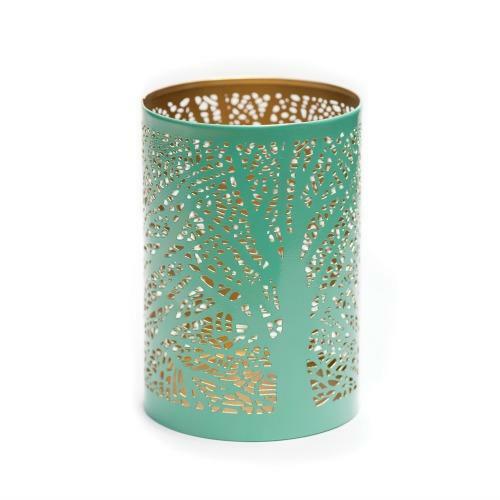 You’ll also receive this lovely candle holder handmade from cast-off metals. These artisans in India work hard to raise themselves out of poverty and help light the way for their childrens' education. Perfect for small jobs around the house, this handy hammer has four screwdrivers nested in the handle. 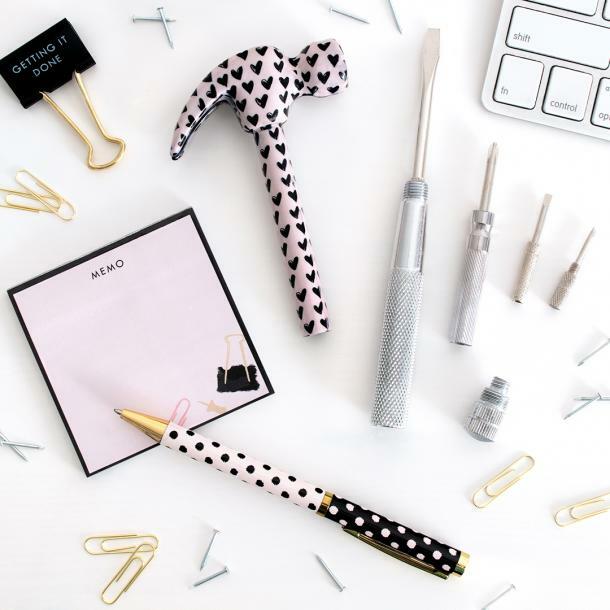 This all-in-one 5-tool device is ideal for someone moving into their first place! Balancing style, technology, and audio quality, the Model One Digital is a radio for the modern era. It delivers a new spin on a classic design by offering FM, Wi-Fi, and Bluetooth. 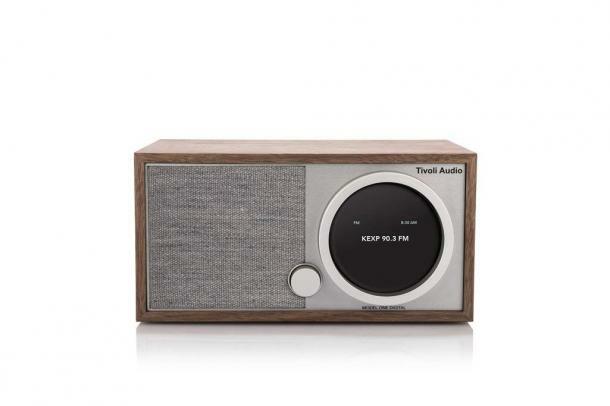 This retro-looking radio merges the simplistic elements and user-friendly features Tivoli Audio’s classic line is known for, but with a tech refresh–perfect for new homeowners. There's no place like home for the holidays! 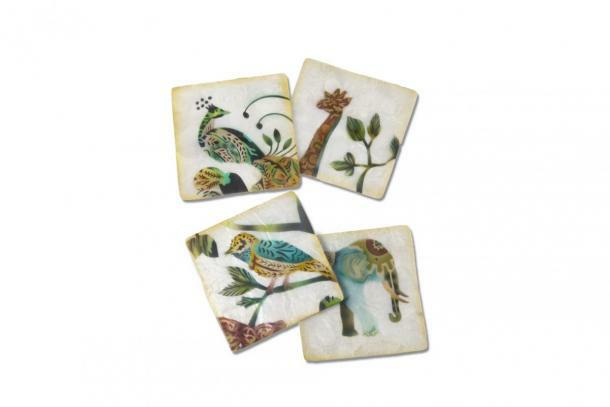 Send your warmest wishes with these festive finds to enjoy in their home. 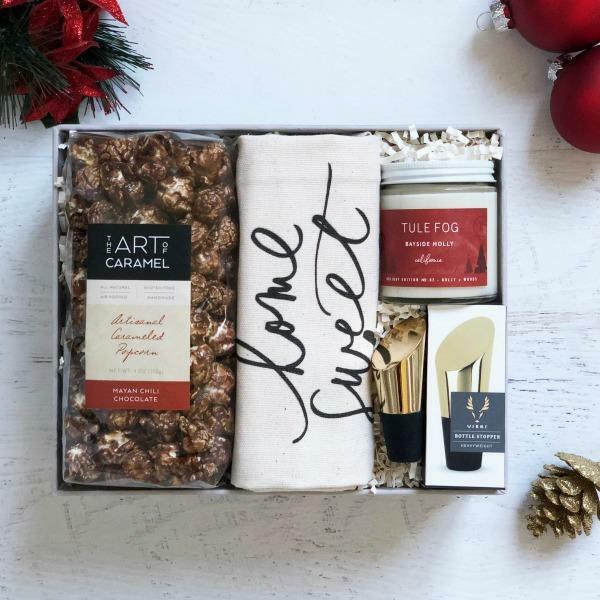 This gift features Chili Chocolate Caramel Popcorn, Home Sweet Home Tea Towel, Bayside Holly Soy Candle, Belmont Gold Bottle Stopper, Signature Box, and a personalized card. 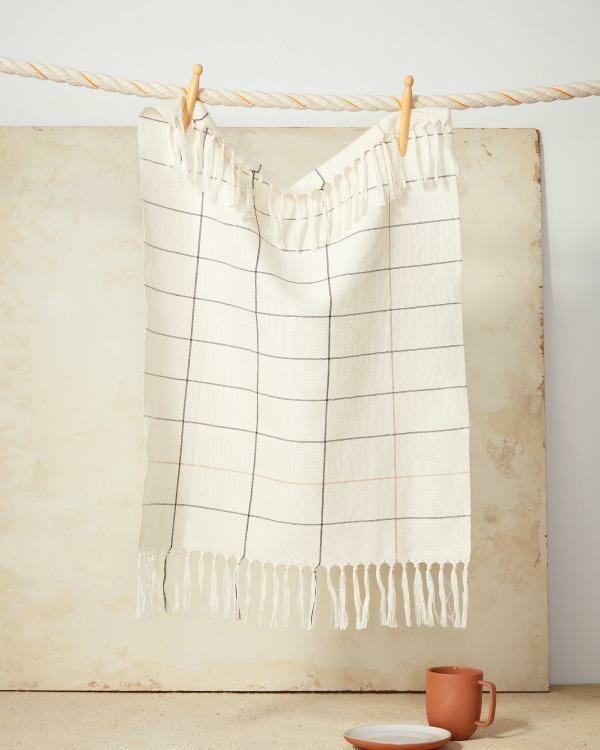 Ethically handcrafted and sustainably made, MINNA’s tea towels are a thoughtful gift for friends and family. Plus, now your friend will have no excuse to not invite you over for tea. 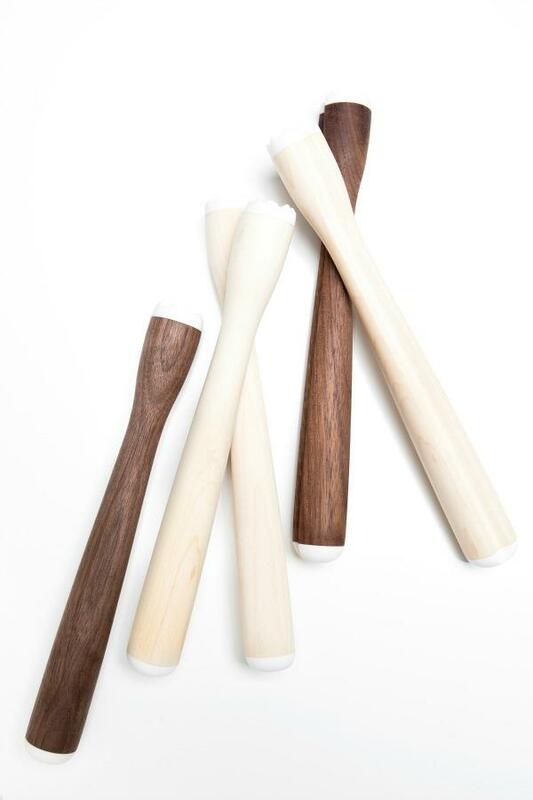 Inspired by an old school nightstick, this cocktail muddle is sturdy, timeless and made just for those hard to shop for folks in your life. This muddle is hand turned and ready to be engraved. 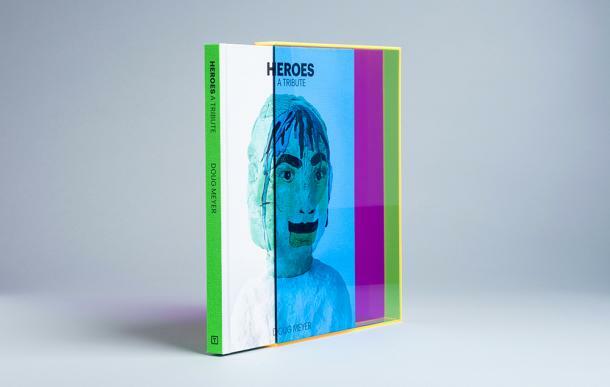 A perfect coffee table book to bring to the next housewarming party you attend, Heroes: A Tribute, by artist and designer Doug Meyer, pays homage to 50 creative and inspirational individuals, all of whom were early victims of HIV/AIDS. It is also a gift that gives back — from now through December 31, Tra Publishing will donate 40 percent of the net proceeds of book sales to The Elizabeth Taylor AIDS Foundation to support their life-saving work for individuals living with HIV and AIDS. 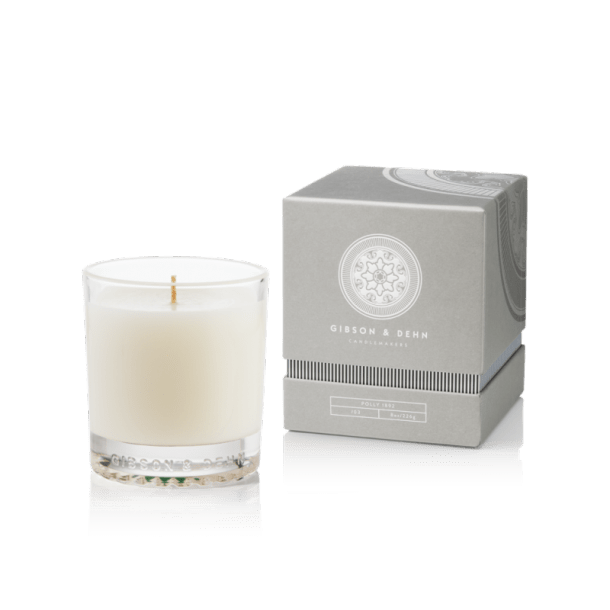 Bring the essence of the warmest, most welcoming spice into your home with this gorgeous Vanilla Chiffon candle or diffuser. Both feature vanilla bean and a hint of almond expertly blended with notes of whipped cream. 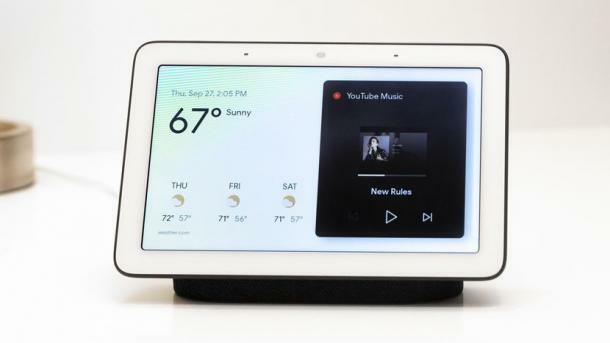 The Google Home Hub is one of the the best housewarming gifts for anyone trying to break into the smart home game. It does everything the Google Home family can do, like control your smart home devices, set reminders, tell you the weather and listen to your favorite streaming service, but now with an added visual element. This is an oversized, decorative candle set in a chalice whose mesmerizing, hard-to-resist scent of scrumptious white velvet cream and moist layer cake is inspired by Southern whoopie pies. 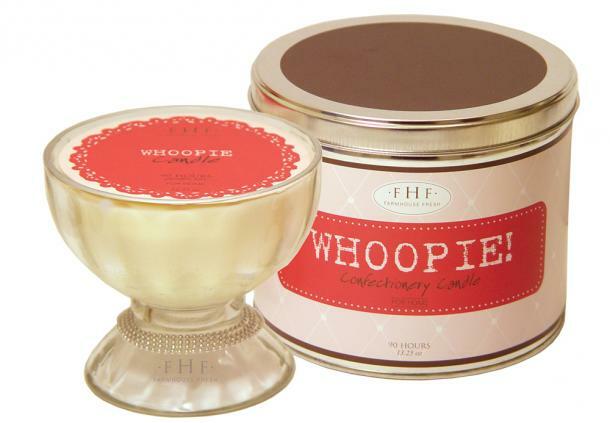 The Whoopie! candle is adorned with a silver rim and nestled in a gorgeous, enormous, decorative tin, making this candle the ultimate personal gift. It features a phthalate-free scent and soy-blend wax. The perfect gift for the Dad who loves to grill even in the winter months. 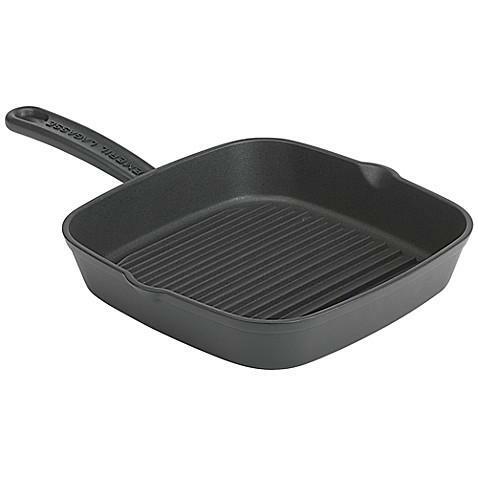 Constructed into a classic square silhouette, its ridged cooking surface boasts superb heat retention, delivering the ultimate in culinary flavor and texture. 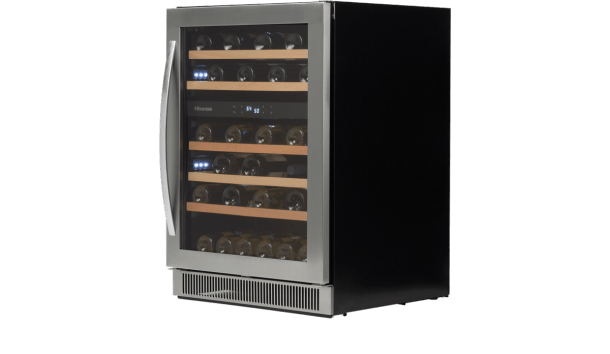 The Dual Zone Wine Cooler makes holiday gatherings and large parties a snap for hosts, keeping wine cool and ready to uncork. Gifting the wine cooler for a housewarming party adds a modern flare and puts the finishing touches on a kitchen space or basement bar. 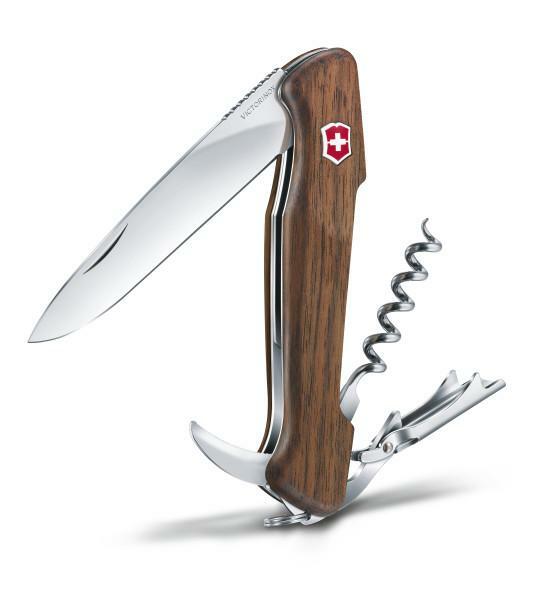 This new multi-tool from the makers of the original Swiss Army Knife features an extra-long corkscrew (five coils to prevent cork breakage), two-hinged lever (which can also be used as a bottle opener), serrated foil cutter, and a 4” main locking blade (with the cross and Shield as the release). The main blade is the perfect companion to the wine tools as it can be used to cut baguette, cheese, meat and more. 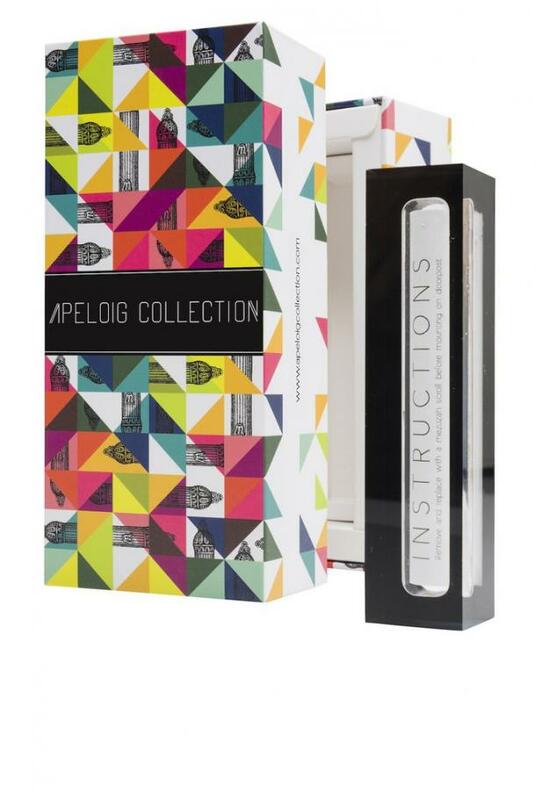 Elegant in its simplicity, Apeloig Collection modern mezuzah reminds us that the most beautiful part of the mezuzah is the text within. Created by two sisters with a knack and love of modern design, it's perfect for anyone with a new home, new baby, engagement, or someone who loves good design! Copper accents add just a touch of flare to a clean design. 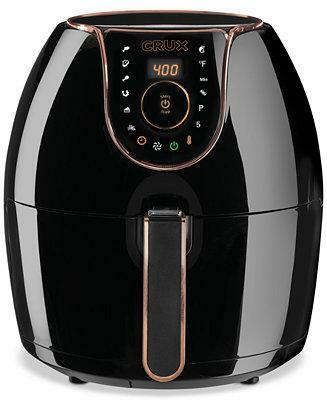 For those who love affordable and functional luxuries, this air fryer is perfect for that person who loves their fried food but is looking to cut fat and calories. The perfect gift for the up-and-coming gourmet host. 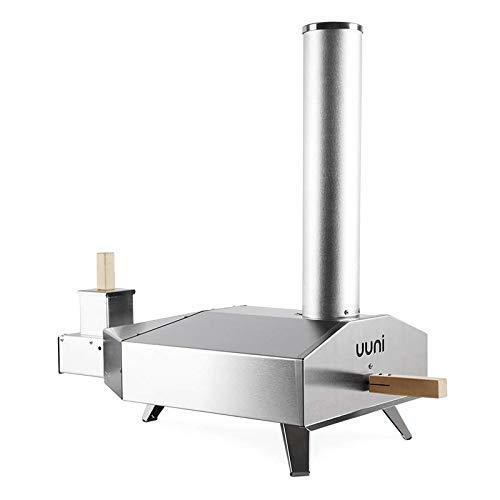 The Uuni 3 heats up to 932°F in 10 minutes, cooking delicious 13" pizzas in just 60 seconds. Each unit comes with a wood pellet burner, cordierite stone baking board, and pizza peel. This model is also compatible with the brand’s gas burner add-on for an additional cooking option. 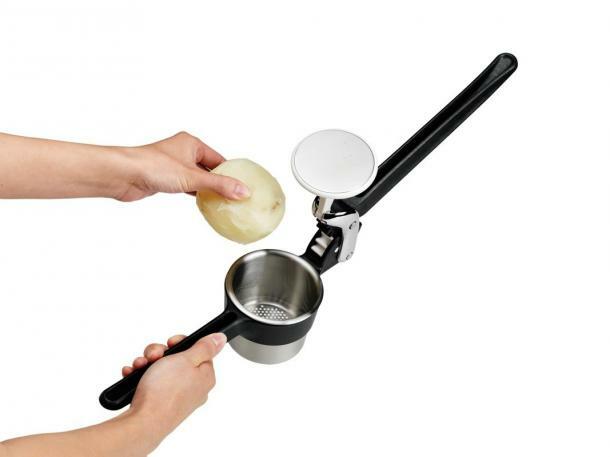 This potato ricer will be so fun for big holiday dinners but also to use year-round. It can be used it to make shepard's pie, pierogies, potato croquettes, mashed potatoes and more. ​You deserve the best! That's why YourTango's editorial team vets all of the products we choose to feature. If you buy something listed here, YourTango may earn an affiliate commission.